What is the difference between the different resolutions of the spy cameras? What minimal lighting do I need in a spy camera? How much memory capacity do I need? How is a memory card formatted to FAT32? How to change the date and time in the spy cameras? New spy camera professional . Mini spy camera High Definition (1280 x 720p) recording by motion detection, sound detection, detection of vibration, to a time and date pre-programmed autonomy with unlimited or for any sensor you want. Ideal for vehicles. This mini camera spy of 12 Mega Pixel with ir leds invisible is ideal for covert surveillance due to its small size. Allows you to make videos in Full HD with a resolution of 1920 x 1080p. Record while charging. It has motion detection. We present the pen spy most economical on the market with built-in microphone. Excellent relationship quality price for you save easily and safely to all your meetings. Videos and still photographs. Voice recorder hidden in spy pen fully functional. Has an autonomy of 15 hours in continuous mode , and 8 Gb of internal memory to store hundreds of hours of recordings. Ideal for covert surveillance. Electrical box spy with PIR sensor. Has 54 days of autonomy and an angle of 135º. Recorded by detection of heat thanks to its built-in PIR sensor. Very easy to install. New spy camera for iPhone 6 WIFI IP PV-IP6HDi of LawMate. Allows you to view the image in real time from any mobile phone and from any place. Record in different resolutions including Full HD H264 at 30 FPS . Has depending on writing. New kit in the shop of the spy ESPIAMOS.COM composed by a mini camera button Full 1080p HD and a DVR portable with LCD screen of 2.5”. Allows up to 4 resolutions different. Up to 60FPS. Ideal for professionals. PV-WT10. 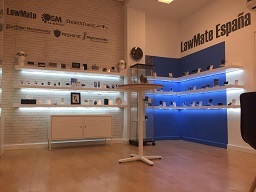 First spy camera clock type of the brand LawMate. Recorded in high defición to 720p using the codec H. 264. Digital clock fully functional. Up to 128Gb of memory. Ideal for spy surveillance. PV-CHG20I IOS. New spy camera WIFI low light hidden in a battery charger fully functional with autonomy, unlimited compatible with IOS devices of last generation as the iPhone 6. Recorded in several different resolutions including 1080p at 30 FPS. H. 264. Totally discreet. You'll see the images in real time from other Smartphone. Mini voice recorder spy-type pendant of just 5 cm autonomy of 30 hours in continuous mode , and 8 Gb of internal memory to store up to 96 hours of recordings. AR-100 New audio recorder of the tent to look out. The AR100 is a audio recorder professional hidden in a keychain car standard. Incorporates a microphone professional type “conference rooms”. You can record 15 hours in a row. It is very easy to use! This novel usb spy houses in its interior a voice recorder 4GB memory with storage capacity of up to 48 hours of audio and an autonomy of over 9 hours. New microphone contact japanese recording system integrated. You'll be able to hear everything that is said behind a door, wall or glass. It has 11 hours of autonomy. Lapa GPS with tracking platform free for life. Has an autonomy of 30 days. No installation needed. It locates your vehicle quickly and easily! Mini GPS Locator 0026 with free platform. and motion detection. The mini gps locator for car or motorcycle cheapest in the market with excellent quality! The mini GPS locator for kids allows you to view the location in real-time from PC, Tablet or Smartphone. Resistant to extreme environmental conditions. Ideal for control of children, elderly people and people with special abilities. Unique products. We know that having a spy camera or voice recorder can be the difference between feeling safe or not. 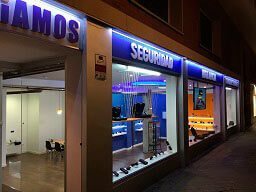 That's why, when you buy at Espiamos®, you're protecting what matters most to you with exclusive brands that you do not get at any other store..
Best price. Thanks to our direct import, you save and enjoy the latest technology in terms of surveillance. As we do not belong to any franchise network of any spy store, every time you buy our products, you are getting prices that the competition can not offer you. We are on the side of the good. Some just want to sell. We do not. That's why we work for good, offering you legal products such as voice recorders, GPS locators and mini spy cameras that give you peace of mind or that help you obtain valuable information to contribute to a more ethical and fair world. If what you are looking for is a penguin to copy in an exam or software to spy on your partner, I am sorry, we have nothing to offer you. Edic-mini Tiny 16+ E71. Mini recorder spy with autonomy unlimited. Weighing just 6 grams. Has sound detection, 150 hours of recording, password protection and recording at scheduled time. New mini audio recorder spy Edic-mini Tiny+ B76 . Weighing just 7 grams. Has sound detection, up to 25 hours recording, 9 months autonomy in sleep mode, password protection and recording at a scheduled time. How to buy on the web products to spy on look out?